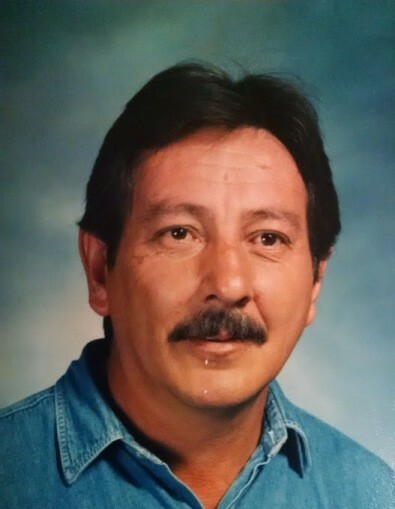 Memorial services for Las Animas, Colorado resident, Rosalio Baca will be held at 1:00 p.m. Saturday, December 1, 2018 at Bent Community Center with Pastor Diane Hutson officiating. Per Rosalio’s request, cremation has taken place and there will be no public visitation. Rosalio was born on June 28, 1951 in Las Vegas, New Mexico to Casimiro and Ofelia (Roybal) Baca. He was raised and educated in Las Vegas. Better known as “Ros”, he was a star athlete for The Robertson Cardinals. A basketball extraordinaire, Mr. Basketball if you will! Ros was united in marriage to Nancy Maestas on September 2, 1970 in Las Vegas, NM. To this union, four children were born. Ros was employed by the Bent County Las Animas School District for 35 years as a custodian. He was more so the ultimate mentor and basketball coach to a multitude of students who became life long friends and family. Ask anyone and they’ll tell you, “Ros helped me get through those junior high years and he believed in me!” Son, brother, father, friend, mentor, coach. Our dad held numerous titles, but in the end, we were blessed with the best father the Almighty would bestow upon us his children. Rosalio passed away November 22, 2018 at Penrose Hospital in Colorado Springs, Colorado at the age of 67. Rosalio is survived by his children, Adam Baca and Michelle Samaniego of Las Animas, CO, Jonelle Baca and Maria Elena Valdez of Las Vegas, NM, James and Rebecca Baca of Colorado Springs, CO, Alan Baca and Kindra Hamill of Las Animas, CO; former wife, Nancy Maestas; Benito Cordova; siblings, Judith Austin, Casey Baca and wife Tomasita, Harold Baca and Kathy Munoz, Tommy Baca and Eva Crespin, Linda Cordova, Darlene Shelton and husband Marvin, Loretta Cordova and Dan Mondragon; grandchildren, Tatiana Baca, Darian Baca, Ethan Baca, Darius Baca, Damien Baca, Baby Breck Baca, Janaya Baca, and Serenity Baca; great-grandchildren, Athena Miller and Avery Miller; as well as numerous nephews and nieces, other relatives and a host of friends. He was preceded in death by his parents, Ofelia and Casimiro Baca; and brother, Secundino Baca. Memorial contributions may be made in his name in care of The First National Bank, P.O. Box 270, Las Animas, CO. 81054.